We take great pride in our company, as we do our work performed for our clients. From large commercial projects to residential construction, we ensure that every job is performed to specification in a timely and cost effective manor. 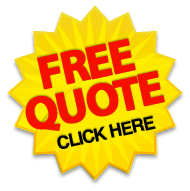 Contact us today to schedule a FREE quote for your desired improvements or repairs! Magic Stone General Contracting is a family owned and operated business. We are a leading provider of powerful, high-tech home improvement solutions with unsurpassed customer service. From large commercial projects to small residential solutions, Magic Stone addresses your specific needs with a portfolio of safe and effective applications to complete your construction and home improvement needs. Your complete project handled by one company.